You may have heard of the word Cerebral Palsy (CP) for the first time, but it wouldn’t be surprising if you have seen this actual physical condition. According to the Centers for Disease Control and Prevention, CP affects approximately 1-4 children out of 1,000 all over the world. CP is the combination of the words “cerebral” and “palsy”. The former refers to a malfunction in a brain region; the latter refers in complications in body movement. For this reason, CP is characterized by the disability of the body’s motor functions to coordinate, which results to complications in a kid’s seeing, hearing, and other senses. CP falls into at least four types, which are reflective of the specific brain part that has been affected. Note: There is also a mixed CP, which is characterized by a combination of the four types. 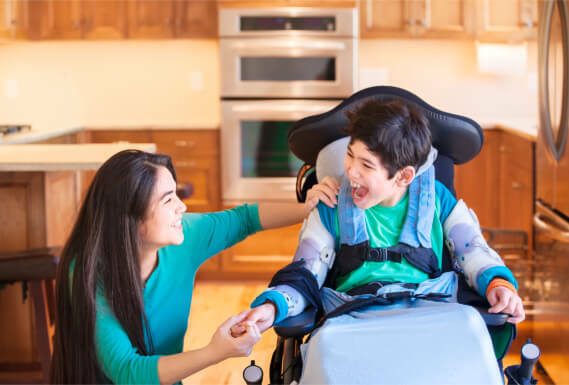 At Novena Health Care, we have skilled care providers who can assist you in looking after the needs of a child with CP, especially in providing Home Care Services in Bowie, Maryland. Set an appointment with us to know how else we can be of service to you. Do you know a friend who needs assistance in caring for a loved one with CP? Refer us to them. This entry was posted in Cerebral Palsy and tagged ataxic cerebral Palsy, healthcare, intellectual disability. Bookmark the permalink.